This page is designed for everyone who cares about US watersheds. It lists 108 organizations, alliances, and communities that are working to protect the environment and our wildlife. American rivers, lakes, and bays have no chance for survival without human help. Hazardous contaminants, agricultural waste, leaks, spills, invasive species, climate change—all these and many other issues have caused significant water pollution, and watersheds can’t fight them alone. But don’t worry—there is a way out! There are lots of nature conservation organizations, alliances, and volunteer groups that are standing for the rights of our waterways. Wondering how to join them? Actually, there are plenty of ways. In this list, you’ll find links to 108 waterway conservancy organizations along with a short summary of their activities. Every organization provides several major ways to help as a volunteer or a member. For example, many organizations offer nature conservation careers, sell merchandise for charity, or organize outdoor activities. Start saving the environment right now with just one click! Don’t forget to follow these organizations online to stay updated about their important work. For that purpose, we’ve also added links to their social media profiles. Activity: The ARA protects 132,000 miles of water. The group organizes 2 to 10 events every month focused on cleaning, educating, or standing for the rights of Alabama rivers. In June 2017, for example, anyone with a boat could join in the Defend Rivers Paddle—an event to raise the awareness for the river. Activity: For Inside Passage Waterkeeper, water preservation is everything. This group protects the rivers of Southern Alaska because its members care about the health of local citizens. A major wildlife conservation project for this organization is called We Eat Fish. It’s based on the fact that every Alaskan citizen eats more than 6.5 fish per day, a large consumption amount that requires the fish to be healthy and in the right condition. Activity: GRIC DEQ assesses the water quality of the Gila River. They also care about surface issues and underground water, with different standards for each type of water source. The organization is also engaged in the protection of vanishing birds—like the bald eagle. These species’ habitats often become favorite spots for hikers, campers, and, even more dangerously, hunters. Activity: The WRRC controls water pollution, waste, and other issues by developing environmental outreach programs. For example, its educational program has 500 teachers who put great effort into raising awareness for Arizona’s water problems. The WRRC has also developed more than 250 research initiatives in five directions: climate, environmental systems, water policy, society, and technology. Activity: More than 10 environmental associations have united to form this alliance—a group of people who are protecting water resources. It offers residents many different ways to support the project. For example, you can sign a petition to stop agricultural waste from farms. BRWA also organizes interesting events to raise awareness concerning environmental issues, including concerts and meetings. Activity: KAB is focused on clean-ups throughout Arkansas, including its forests, lakes, and rivers. Trash can be found in any part of the state, which is why volunteers are always welcome in this group. KAB is also engaged in litter recycling. Clean water supplies are also very important to this organization—almost every month you can find a river or lake clean-up to join as a volunteer. Activity: The California Lake Management Society attempts to eliminate pollutants and trash left by tourists. It gathers conferences and meetings, writes petitions, and leads trips. If you’re going to college, you can also win a scholarship from this organization. It supports degrees in ecology, management, and limnology. Activity: Klamath Riverkeeper protects the whole watershed from the major causes of pollution, such as dam building, algae growth, factory waste, and the ignorance of tourists. The Klamath Watershed is a native habitat for salmon species that are in danger due to the allocation and illegal use of water. Activity: The MLC focuses on educational and informational activities regarding Mono Lake. On its website, you can always find an excursion, canoe tour, or bird watching activity to join. Its staff also understands the power and importance of science. The MLC supports more than 50 research initiatives within the fields of geology, ecology, and biology. Activity: Pollution effects are hazardous for our planet’s water and air, which is why the Sacramento River Preservation Trust tries to decrease them. And only you—American citizens and residents—can help them achieve their goal. The Sacramento River Preservation Trust leads several projects to introduce the history and culture of the river and educate locals and tourists about its value. Activity: SDRVC stands for the protection of high-quality hydrological resources. It works in partnership with the San Dieguito River Park. As a result of this cooperation, 20 miles of trails have been restored and several interpretive centers built. In the San Dieguito River Park, there are free interactive programs to educate visitors on the cultural and historical aspects of the park’s natural environment. Activity: San Francisco Baykeeper leads significant work to keep invasive species out of the bay, controlling and tracking sewage spills, clearing up waterways of pollution and abandoned vessels, and preventing oil spills from boats and ships. San Francisco Baykeeper creates new strategies to fight against the consequences of climate change, such as sea level rising. Activity: Dozens of animals and plants are facing extinction in the Bear River. Why? Because there’s a plan to build a dam, which would prevent many kilometers of the river from flowing freely. The dam would also significantly affect the Yuba River, especially in dry years. Save the Bear River stands for alternative methods of managing the Bear River’s resources. Activity: NALMS does water pollution researches to estimate the percentage of contaminants. It also regularly organizes events, some of which last for a week. For example, in August, the group is organizing a week for the Fishery Society. NALMS has developed unique student programs on ecology, natural resources, chemistry, wildlife management, and more. Activity: Save the Colorado stands against irresponsible water acts such as the building of dams and pipelines. It protects the endangered fauna and flora of the Colorado River. Save the Colorado is focused on restoring the river’s dry regions. It finds alternative methods to use instead of dam building. In the last four years, CRC has significantly improved its restoration program and has put a lot of effort toward cleanups. It removed 3 dams that were harmful to watershed habitats, planted more than 12,000 trees, and organized dozens of events to raise awareness for local rivers. In 2016, CRC gathered 141 cleanup groups with more than 2,000 volunteers. With the help of volunteer enthusiasts and 16 partner organizations, the group regularly checks water quality, removes invasive species from the watershed, and restores the blueback herring population. Activity: The Mill River Greenway Initiative knows how to get its job done—it’s leading more than 10 projects to attract the public to the endangered river. Only with this group can you enjoy art and music in a festival held near the picturesque sites of the Mill River. Activity: PDE puts a lot of effort toward explaining how everyone can take on nature conservancy jobs to prevent the pollution of watersheds. The organization has a lot of articles on why it is important to clean pet waste from your yard or plant rain gardens. PDE guides several ecotours in the surrounding states, which are pleasant for anybody to take. It also popularizes the recycling of hazardous materials. Activity: IRLT works on land management, water waste reduction, and conservancy education. On their board of directors, you’ll find a lot of people who care about our country’s ecosystem. And since its founding in 1990, IRLT has gathered a lot of friends who have helped change the pollution problems. Activity: Kings Bay may be considered the most beautiful place in Florida. It attracts visitors with its picturesque sites and incredible fauna. Every November, manatees return to Kings Bay, and visitors can make friends with these guests. That’s why water purification is so important to the Kings Bay Restoration Project. It has cleared 3.41 acres of water channels, decreased the amount of phosphorous pollution by 99%, and removed more than 8,000 yards of the dangerous algae Lyngbya. Activity: CRK is a GA river network focused on Chattahoochee River preservation. On their logo is a heron that symbolizes all the endangered birds that the organization protects. If you’re new to their website, check out their list of outdoor activities. You’ll definitely find something you’re interested in—like a festival, rafting trip, or children’s education program. Activity: Every environmental organization wants to have the cleanest rivers in the US. And Georgia River Network comes close to meeting this goal by encouraging the general public to be concerned with environmental problems. In 2016, 194,500 dollars were raised to save the list of American rivers. 1,000 people first became interested in the organization through kayaking and paddling and then started to donate. More than 66,000 people were reached by Internet marketing. Activity: WWALS stands for the Withlacoochee, Willacoochee, Alapaha, Little, and Suwannee River watersheds. Located in Georgia and north Florida, these areas are the focus of this organization’s efforts and charity. WWALS’ biggest events include river paddles and nature outings. The website contains a lot of useful information on water trails and how to use them safely. Activity: In the past 200 years, more than 1,000 native species have found themselves on the extinction list. HCA works every day never to let it happen again. HCA unites students, scientists, and volunteers to restore the sea, beaches, and streams. Take action now and make your home better—join the upcoming salmon campaign or land conservation program! Activity: This organization is known for Green Bay restoration, especially the protection of fuels and urban nutrients. Among its many campaigns are also various ways to save endangered species of animals and plants—for example, it’s trying to keep invasive species like zebra mussels and round gobies out of the Great Lakes. Activity: If you google the most popular American rivers list, you won’t find the Chicago River there. But the care and dedication of its volunteers make it better and cleaner every season. This spring, Friends of the Chicago River celebrated its 25th anniversary. With the help of organization sponsors, more than 2,000 volunteers cleared 60 districts. Together, they drove away 20 tons of trash! Activity: Friends of the Fox River advocates every time the Illinois watershed is threatened and also applies water treatment. Twice a year, it organizes Fox River clean-ups and takes a stand against dam construction—there are 16 of them on the river, the majority of which serve no purpose. The organization’s events are some of the most interesting things to visit in Illinois. For example, they cooperate with the Elgin Public Museum to show the general public the effects of global warming. They also held a craft beer event where anyone could donate to the river conservancy. Activity: Prairie Rivers Network is a non-profit organization that is highly valued for its species conservation—such as the Monarch butterfly—as well as its water cleaning practices and floodplain restoration efforts. Floodplains are lower parts of the land located near water objects. Their main problem is being disconnected from rivers, an issue that Prairie Rivers Network tries to fix. Activity: STIR offers many ways to prevent contamination of the Illinois River. The group holds lots of campaigns and activities every year, which members can join and help popularize. STIR also runs its own blog to share facts on water pollution and other environmental articles. Activity: On this organization’s website, you can adopt a stream of a local river. Through this famous restoration method, a group of people becomes responsible for a specific watershed zone—patrolling its shores, planting trees, and cleaning up. The group also offers environmentally friendly solutions for citizens and corporations to keep waterways safe. Activity: Statistics on the uses of water from the St. Joe River are terrifying—70% of it is used for animal and crop waste! This organization puts forth a lot of effort to improve its quality. A few lines about FotSJR: it’s engaged in stewardship, water and soil restoration, and habitat restoration. Activity: If you’re hiking near the White River in Indiana, visit this organization’s website. First of all, they offer a lot of information, maps, and facts about the White River. Secondly, you’ll find many interesting activities available throughout the year. Activity: The LRWP cares about every rabbit, bat, and turtle in its watershed. Every day, the LWRP turns its territories into a safe water resource for mammals, reptiles, and fish. This organization provides free educational programs for thousands of children annually, manages shore cleaning, builds and places nest boxes, seeds plants, and much more. Activity: This organization is an active supporter of the environment, especially in terms of water conservancy. One of its biggest projects is focused on the Dakota Access Pipeline, a project to construct a 1,172-mile-long pipeline under Iowa rivers. This organization is an active supporter of the environment, especially in terms of water conservancy. One of its biggest projects is focused on the Dakota Access Pipeline, a project to construct a 1,172-mile-long pipeline under Iowa rivers. Activity: The DNR covers dozens of directions. It works on water, land, and air quality, and it’s responsible for the restoration of rivers and lakes in Iowa. The DNR regularly performs water analysis, educates the public on hazardous household materials, and improves watershed quality. Activity: Have you ever helped conserve rivers, beaches, forests, and threatened animals and plants and had fun at the same time? With FOK, it’s possible! This organization definitely makes a great contribution to better clean water statistics, but it also organizes a lot of paddle trips, fishing workshops, and tourist tours. Activity: The major branch of the Kentucky River is 259 miles long. And each mile is affected by the ecological footprints that people leave after their outdoor activities. From this group, you can learn how to reduce your consumption of water resources, sign up to join a clean-up, or find an enjoyable picnic for the weekend. Activity: Restore the Mississippi River Delta is engaged in many projects that focus on coastal recovery. Land loss is the most significant environmental issue in Louisiana. The organization regularly creates marshes and carries out oyster reef, ridge, and barrier island restorations. Activity: The Presumpscot River has a rich history. It’s a fantastic place for boating and kayaking—which is something that Friends of the Presumpscot River tries to show in various events and outdoor activities. Unlike many organizations, FOPR also makes a lot of statistics and surveys, investigates different water pollutants, and develops new standards for water quality. Activity: The Worthley Pond Association protects its watershed as well as Maine’s lakes. As part of their LakeSmart program, they ask landowners to answer several questions to learn whether they’re hurting the environment. Landowners who pass the test earn a certificate, while those who don’t receive a plan on how to reduce their impact on the wildlife. For example, the type of engine you use or the way you handle your septic system can have a big impact. Activity: The many achievements of Friends of Deep Creek Lake make citizens proud of the organization and its members. For example, it successfully stopped a corporation that had been dumping dangerous chemicals into the lake for 13 years. Activity: Patuxent Riverkeeper defends the longest waterway in Maryland. It protects the river’s status as a major tap water supply, one of the biggest shellfish habitats, and the perfect place to spend a weekend. Every spring, the organization invites volunteers to their annual river cleanup. During the year, they are involved in restoration and education programs. Activity: It often happens that the major American rivers get all the attention. But the Deerfield River Watershed Association will always care about its own wonderful piece of nature and exists to help the citizens of more than 50 towns enjoy its charm. Activity: NRWA staff has been working since 1967, developing various directions such as fish restoring projects, children’s education, water waste reduction, and so on. The group is also known for its efforts in invasive plant control, ecological school programs, and water-quality monitoring. On the OARS website, you can find technical reports on various quality issues. These reports can tell you what OARS is doing for the rivers under their protection and how much should be done in the future. The Assabet River is a beautiful place for hiking, paddling, and boating. But this watershed and many others are under significant ecological threat. The effects of human use, climate change, invasive species, and pollution—all these problems demand solutions, and OARS gives them. The organization gathers volunteer groups, establishes water monitoring initiatives, leads overnight paddles, and much more. You can also check out its River Recreation Maps—detailed guides of the watersheds. Activity: Aquatic sources of the Muskegon River are endangered due to pollutants, climate change, and human impact. In 2017, the MRWA was awarded a grant to restore Bigelow Creek and the surrounding sites. They plan to restore 40 acres of forests, stream crossings, and salmon habitats. On its website, you’ll find informative publications about flora, fauna, land, water, education, and much more. Activity: Like many rivers in the USA, the Yellow Dog is under threat of sedimentation, erosion, and pollution due to sulfide, copper, and nickel mining. The organization fights against such harmful resource management. It also educates residents on how storm water takes the pollutants that people leave in their yards or camps to the rivers. Activity: The Mississippi River is the most famous waterway in North America. It passes through 10 states and is the fourth-longest river in the world. FMR leads the protection of this historic river, providing equipment and specialists dedicated to cleaning and saving it. Activity: MPCA has a large map of Minnesota rivers, lakes, and streams. In total, there are 80 watersheds, each of which has at least a couple of big rivers and lakes. All of these resources are guarded by this organization. MPCA often gives grants and loans for environmental projects connected with air and water pollution. Activity: Save The River Bottoms consists of hikers, campers, and cyclists, along with those who just love Minnesota’s fantastic natural scenery. They stand against the idea of building a paved trail in a flood plain. Such an irresponsible act prevents nature from remaining as it should be. The supporters of Save The River Bottoms believe that leaving nature alone is the best way to see its true greatness and charm. Activity: HC COLA works in several directions to improve the ecological system. It eliminates exotic species like zebra mussels that alter and degrade habitats. It also stands against the Line 3 Pipeline. If built, this oil pipeline would be one of the largest in the USA. Its construction would bring a lot of environmental problems such as hazardous leaks, fires, and new threatened species of animals. Activity: The Pascagoula River Audubon Center is focused on children’s education. The group sponsors regular field trips—special events for kids that include learning about birds’ conservation, native plants, safe kayaking, and so on. Children can also attend a summer camp full of interesting activities. The PRAC connects people with nature and also tracks birds to study their migration habits, life expectancies, and reproductive features. Activity: Founded in 2001, Missouri River Relief has shown great results, including more than 160 projects in which staff and volunteers cleaned up the river. More than 20,000 people have engaged in volunteer activities with this group, and over 800 tons of trash have been eliminated from the nature sites. Thanks to this organization, we now have fresh drinking water and a diversity of animals and fishes in the Missouri River. Activity: In 1996, Flathead Lake was listed as an impaired water source. Now, the Flathead Lakers are putting in a lot of effort to save the waters of this beautiful piece of nature. This group monitors the water quality to establish the major sources of polluted runoff and then cleans the lake of these contaminants. Activity: Montana Trout Unlimited controls uses of water, restores endangered fish populations such as the cutthroat, and engages in water sources management. The importance of water has pushed the organization to unite with biologists and technicians to clean the waterways of Montana and keep them safe. Activity:Upper Missouri Waterkeeper is focused on water quality improvement. It constantly finds solutions to prevent storm water, manure, and construction pollution in the Upper Missouri River Basin. One of the organization’s most central environmental issues is rock-mining. To prevent negative ecological effects, $10 million per year is paid to treat the water before it falls into waterways. Don’t wait until volunteer day to help! Report illegal water usage and pollution. Activity: Common activities like kayaking, swimming, and fishing in American rivers are becoming more and more difficult. Why? Due to rivershed pollution caused by pesticides, agricultural runoff, and litter. The Nebraska Wildlife Federation raises money to save the rivers from corporations and farms. You can become a member to help your state be clean again. Activity: Many wild animals are threatened by climate change, an important issue that also carries increased risks for fire, bird and fish migrations, and ground loss. The Sierra Nevada Alliance organizes exclusive events for its members, along with internship opportunities in fields like outreach, media development, and web design. Activity: A short note on Walker Lake: it’s beautiful, and it needs our help. The lake’s ecosystem is under threat as well as its inhabitants. The Walker Lake Crusaders are focused on 2 endangered animals: the loon and the tui chub. But there are, of course, more species that are suffering from plastic trash, agricultural waste, and air pollutants. Activity: Within NHDES, there are many different departments responsible for every direction of nature conservancy. There are programs to solve problems related to dam construction, acid rain, water supply protection, storm water issues, shellfish habitat restoration, lake cleaning, and much more. These programs will show you how to keep rivers clean and how to avoid harming the local ecology. Activity: The Passaic River Coalition is an organization that points out the main causes of water pollution. And even more importantly—it shows you solutions for improving these conditions. The PRC, like any other environmental savior, needs the public’s help. But unlike many of its colleagues, it also cares about the forests, shores, and valleys of the Passaic River. Activity: Amigos Bravos stands for the protection of New Mexico waterways. If you’re a local citizen, read the endangered species list to know which animals need your support. The organization also strives to eliminate the consequences of global warming all around New Mexico. With the help of volunteers, Peconic Baykeeper tests the quality of coastal water to identify any pollution. The organization puts a lot of effort into the restoration of the blue crab population (the most endangered species in the area) by tagging them and helping combat climate change. Activity: The LGA was the first environment conservancy organization to focus on lake protection. Right now, the group is planning many further projects for you to participate in. Sign up for the floating classroom, water assessment campaign, or various educational programs. The LGA also protects its district from invasive species such as zebra mussels or Asian clams. Activity: The Waterfront Alliance works tirelessly to raise awareness for ecological topics. It has developed a lot of infographics and statistics to show how catastrophic flooding can happen in the near future or how water quality can become hazardous after just one spill. The alliance offers many solutions to pollution prevention as well as clean-ups. For example, it gives tips on reducing carbon emissions, which anyone can follow to help American rivers, bays, and lakes. 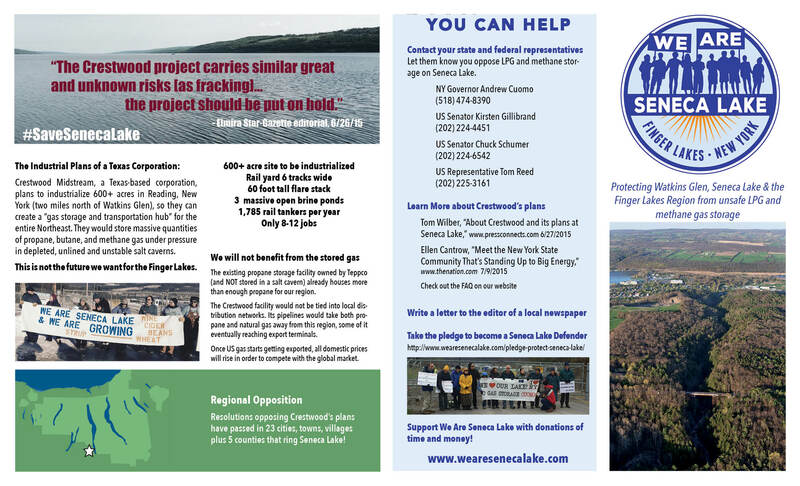 Activity: The largest lake in New York State, Seneca Lake serves as the source of drinking water for more than 100,000 citizens—and it needs protection. This group fights against pipelines that drop dangerous chemicals into the lake, corporations that abuse it for their own purposes, and ignorant tourists who leave tons of trash. Activity: If you’re a whitewater fan, this organization is made for you. It protects rivers around the USA that flow rapidly enough for fast floating. American Whitewater also offers a long list of river activity clubs and events. Activity: Environment North Carolina is known for its work with vulnerable species—for example, bees. In one of its petitions, the organization insists on eliminating bee-killing chemicals whenever there has been a significant loss in the bee population in recent years. It’s also engaged in the popularization of solar power—their goal is to bring solar power use up to 20% by 2030. And, of course, Environment North Carolina puts a lot of effort toward improving water quality by reducing pollutants and invasive species such as algae. Activity: Sound Rivers defends more than 12,000 square miles of waterways, coasts, and forests. It fights against industries, factories, and road constructions that impact fresh water supplies. Among their educational programs are interactive lessons on storm water contamination, the impact of humans on the ecosystem, and aquatic inhabitants’ identification. Activity: Water quality problems are a serious threat to the North Dakota environment. Chemicals from factories and organizations, invasive species, hikers’ ecological footprints—these are all problems you face when protecting waterways. The North Dakota State Water Commission regulates drainage systems, investigates scientific issues, and prevents livestock waste from polluting fresh water. Activity: On Save The Sheyenne River’s website, you’ll find a lot of information on recreational zones, parks, hiking sites, and so on. The organization monitors water quality, restores oak forests and dried wetlands, and increases mussel populations, which have become a rare species nowadays. It also has a unique volunteer program for children to show them the importance of nature conservancy. Activity: Always wanted to keep waterways clean and safe? Join Rivers Unlimited! With this group, you can report poor-quality water, help reduce the effects of pollution, and fight against chemical and industrial pollution. You can also adopt a stream and take care of it! Your voice is important for the protection of Ohio rivers. Activity: Blue Thumb’s leading goal is to educate volunteers. Given the importance of estimating the current quality of water, the organization provides courses to teach volunteers how to carry out chemical and biological tests. Blue Thumb provides support to volunteers including purchasing food and delivering educational materials. Activity: Columbia Riverkeeper puts great environmental conservation efforts to keep watersheds clean. One of the group’s biggest achievements was its victory over billion-dollar proposals to build a liquefied natural gas pipeline. Such projects are harmful to natural habitats for hundreds of species and require a lot of clean water supplies. It also tries to keep oil trains out of the Columbia river, restores salmon habitats with the help of the Adopt-a-River and Water Quality Monitoring programs, and fights against toxic pollution. Activity: Environment Oregon is a globally focused project. The group takes many different directions, such as encouraging the use of solar energy and developing global warming solutions. One of its leading projects is the protection of Crater Lake, a 75-mile waterway surrounded by forests and mountains. Many vanishing species of animals and plants need protection, and Environment Oregon provides it. Activity: Save Our Chetco River stands against mineral withdrawal. Mineral mining leads to wildlife endangerment, and it especially harms salmon eggs and yolk-sac fry, which affects the quantity of fish residents can consume. The organization leads various environmental projects with Friends of the Kalmiopsis and the Kalmiopsis Audubon Society. Activity: TRK has a Watershed Watch Committee to react immediately in case of a spill, leak, or illegal water use. It regularly provides field trips—unique nature tours with the goal of educating children on basic ecological rules. Children can even join a summer camp to spend their vacation trying new outdoor activities and learning about the USA environment. The organization also rents out kayaks and canoes for adults and sets trips for those who want to go with a guide or a company. By the way, TRK members get special discounts on rentals. Activity: Brandywine Red Clay Alliance is a clean water organization that defends the hundreds of acres of two separate watersheds. It regularly tests the water for hazardous chemicals such as nitrogen or phosphate. The organization offers various educational programs at Myrick Conservation Center. Within these ecological courses, students can learn a lot about biology, ecology, natural resources, chemistry, and much more. Activity: CRC protects 132 miles of water. It relies on volunteer help a lot—for example, in the annual clean-up, 8.5 tons of trash were removed from the shores of streams in more than 20 sites. The results of the last 19 events alone equate to 301 tons of litter being removed. It also organizes annual award dinners where partners can celebrate such results and meet new people. These events focus on the achievements that environmental organizations make during the year and give awards. Activity: Nowadays, wildlife is endangered. That’s why DRN encourages the creation of river friendly gardens. These are fantastic projects that every resident can create to help with land and air conservation and bring some beautiful nature back to our towns. The group also develops programs like Water Watch, which is focused on controlling and eliminating major pollutants. Activity: Save The Bay’s mission is to protect nature shorelines, coastal waters, and animals going extinct. The organization often works in partnership with the government to establish laws protecting Narragansett Bay and restore the area. Save The Bay also works without rest to educate adults and children on the utility of water and its quality. For almost 30 years, the organization has explained marine and ecological science topics to hundreds of people. Activity: The WRWC is engaged in the restoration and preservation of the Woonasquatucket River. It was this organization that constructed fish ladders in several dams. Want some details? Fish ladders are specific constructions designed to create calm areas in the water. This group also monitors the river’s water quality. Storm water, factories, and farms cause a lot of dangerous chemicals to collect in streams, and it’s important to notice and eliminate these hazards quickly. Activity: The Reedy River is a beautiful place to relax and explore. It has many waterfalls and flows through picturesque parks, valleys, and woods. FORR leads events and organizes clean-ups to improve the ecology of recreational zones. It often asks volunteers to take care of trash on the trails. So if you want to join their organization—do it right now! Activity: SCWA represents the unity of two environmental organizations: SCAWWA and WEASC. The group consists of more than 3,000 specialists who lead projects in water cleaning, public health, and pollution awareness. Among the many SCWA events are laboratory workshops where you can learn more about water quality evaluation methods. Activity: Each year, DENR takes samples of fish to test for any illnesses. They list the results online, so that every fishing enthusiast can know which lakes and rivers are dangerous to eat fish from. Their work also helps us know about disappearing species before it’s too late. The agency has updated databases on wells, dams, lake levels, and much more. It also solves brownfield and septic tank issues. Activity: FOLM knows that a water crisis may hit anytime. That’s why this group works tirelessly to inform residents about environmental dangers like flooding or pollution. FOLM organizes an annual meeting for those who care about nature conservation, participate in boat trips, and want to help with wildlife protection. The organization reacts immediately to ecological reports. For example, it organized several research initiatives and clean-ups to eliminate the non-native Hydrilla species, which had been harming the lake since 2009. Activity: The MRPF is a non-profit organization that uses various conservancy methods to save the Medina River. Every year, a small group of volunteers (around 200 people) removes around 1.5 tons of trash from the river. The group has also organized more than 10 canoe clubs around the river to enjoy the beauty of the waterway’s sites and bring together interested members. Activity: TRPA is more than a nature conservancy organization—it’s also a community of people who care about local water quality and use. Dozens of boaters, kayakers, and citizens enjoy their whitewater sources and help with every annual cleanup. It is TRPA that took great efforts to persuade San Marcos officials to rebuild a dam that had made kayaking in this river unsafe. It also raises donations every year to support a number of local waterways. Activity: The MRC fights against agricultural pollution, which makes the river unusable for swimming, fishing, and drinking. Dangerous chemicals cause algae to grow, harming and killing fish, and they also make the water unsafe for people. The organization takes a stand against the so-called dead zone—a large territory of the river that is full of hazardous pollutants. Aquatic animals can’t live in such zones; they either die or migrate, which in turn affects the whole river’s ecosystem. Activity: Over 17,000 acres of the Tennessee River fall under the protection of the Tennessee River Gorge Trust. This organization attracts hikers and campers to the river’s beautiful places and increases awareness of ecological issues. You can fill in a form to go hiking on one of the wonderful trails the group is restoring. Activity: The Tennessee River Gorge Trust is also known for its observation of birds. It regularly bands local species to investigate their migratory and behavioral patterns. Activity: If you live near the Jordan River Watershed, you probably already know about this resource. Not only does it offer a map of the watershed and information about nearby events—it also shares water conservation facts and news. Activity: The Utah Rivers Council is known for protecting the Bear River and the Great Salt Lake, decreasing water waste made by citizens, and improving overall water quality. What is a river without water? We don’t want to know. That’s why the Utah Rivers Council has developed a calculator for everyone to know how much water they consume. Activity: Friends of the Winooski River participate in all areas of the watershed’s existence. In 2016, its staff planted 2,250 trees, built two storm water runoffs, created reports on water quality in 36 sites, and much more. Clean water availability is the goal for which the organization aims every day when restoring the river’s habitats and improving the watershed’s shores. This organization seeks to eliminate the causes of freshwater pollution and increase awareness of watershed issues. Activity: Why is water conservation important? Because clean water is a limited resource, and sooner or later we’ll run out of it. The only decision left, then, is to care about our water sources. And this is what Elizabeth River Project does with the help of Virginia citizens. It is a non-profit organization that leads a long list of environmental programs. Activity: FORVA is a river protection organization open to volunteers. Its work focuses on endangered species, industrial and agricultural waste, and the historic role of national rivers. On their website, you can find reports on the organization’s most important completed projects. For example, investigate the Pigg River Restoration Project to learn more about FORVA’s methods, strategies, and results. Activity: Lynnhaven River Now takes care of a beautiful river by restoring its wildlife habitats, increasing animal populations, and popularizing environmental protection. On their website, you can find lots of articles and other educational materials for both children and adults. Activity: NRPA regularly takes water quality samples to make sure the quality is satisfactory. And if it’s not, NRPA takes steps to improve it. All reports are free for you to download. This organization also cares about Virginia citizens who like to enjoy the Nansemond River. It clears access to waterways so that hikers and campers can enjoy the views. Activity: The main activity of WRPS is the removal of hazardous wastes. This organization uses the newest technologies and systems to carefully clear the territory. Activity: Thanks to VEE’s annual reports, you can estimate how much their activities impact the state. For example, in 2016, VEE approved 28 grants—with a total sum of more than $525,000! To protect earth, air, and water resources, grants were given for Chesapeake Bay restoration, science museum activities, watershed protection, environmental colleges, and much more. Activity: The CLPA leads many projects with catchy names—for example, in the Fish Sticks project, workers and volunteers restore forest habitats near lakes by allowing fish and reptiles to use wooden materials as their source of food or shelter constructions. The group also focuses on building rain gardens and lake buffers, which are special zones designed to prevent the entry of harmful fuels and pollutants. Activity: LWQIA educates the public on how rain water from their yards can affect the Winnebago, teaches how to use rain barrels, and raises awareness about nature conservancy. Every year, LWQIA gives an award to a nature-friendly farm, industry, or factory for improvements made for the lake’s health. Activity: This organization created the Wisconsin Lakes Partnership. It’s a great community that unites scientists, government officials, and citizens for one goal—the protection of the lakes. Every year, an educational conference is held. During the lectures, you’ll learn how the water gets polluted and what rules to follow to avoid harming nature. You can also enjoy interesting exhibits and meet famous professors and specialists. Activity: The Wyoming DEQ is ready to share rules and regulations concerning such topics as solid and hazardous waste, land pollution, air quality, and industrial construction. Any time you see an illegal action that has an impact on the environment, report it by e-mail or phone. DEQ monitors the contaminants in water, carries out inspections, and issues permits. Activity: Protecting just a few rivers is hard work. But American Rivers works on waterways all around the country, helping them be clear again. In 2016 alone, this organization removed 16 dams and 1,200 tons of trash with the help of their staff and volunteers. The group also develops solutions for stormwater threats and climate change. On their blog on AmericanRivers.org, you can listen to podcasts to better understand the issues and learn how you can help. Activity: Every year, we lose almost 10,000 rare mammals, birds, and fish. Climate change and contamination make us sick and ruin beautiful sites throughout the natural environment. EarthShare is engaged in more than 10 directions to help our country make a positive ecological change. EarthShare also has a list of 10 rivers with the most endangered fauna to show you which watersheds are in need of the greatest protection.